The Affordable Care Act’s essential health benefits clearly states that pediatric dental and vision must be included in the new “metal” plans, however it is not included for adults, and states are able to interpret the law as to either include the pediatric dental and vision or allow it to be offered as a stand-alone wrapped into a plan. If you choose to be covered by one of the new “metal” plans known as Bronze Plan, Silver Plan, Gold Plan, and Platinum Plan it does not cover dental and vision. This may come as a surprise to many who are used to tacking on these to their current health plans. Your child’s dental and vision are part of the ObamaCare essential health benefits, however some states are opting to have pediatric dental and vision as a stand-alone plan even. I know what you’re thinking, is it legal to separate pediatric dental and vision? Yes, it is still legal. And I’ll tell you why: to allow the pediatric dental and vision to be separate saves the parent quite a bit, because it is unlikely that the child would hit a 6,500 deductible. Currently lawmakers are trying to put a deductible cap of $270 -$1,000 on these pediatric plans so that parents are able to take care of their child’s needs. Individual and family Exchange purchasers can purchase a stand alone dental and/or vision plan. These plans will have a separate premium from the metal plans. Which just means that you’ll be able to choose the right dental plan for your needs and you won’t have to wait for a high deductible to be satisfied before you get to have dental or vision coverage. How Do You Get Adult Dental? Good news is you don’t have to wait until the Exchange kicks in, you can find a dental plan today and keep that plan. For information about current dental and vision plans or about attaching a dental or vision plan to a new Health Care Exchange plan call 800-930-7956 or contact Medicoverage for assistance. We have just added a new dental quote tool here at http://www.medicoverage.com/dental We a.re working on vision. Can someone please help me.? I need Adult and Senior current dental and vision plan Health Care. I can’t find a low plan in Las Vegas, and understand the ObamaCare plan is not going to offer it to adutlts. Please send me current information where and what I can do for assistance. zip code for my city is 89121 Thanks a million! Thanks so much for your comment. The new metal plans are not required by the ACA to offer adult dental and vision plans, however many of them still offer stand alone plans. 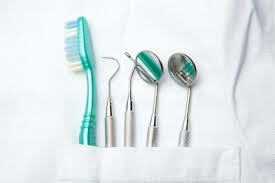 Best way to find a dental plan is to visit http://www.medicoverage.com/dental or contact an agent at 800-930-7956.